Published: Nov. 5, 2018 at 10:15 p.m.
Tennessee Titans linebacker Jayon Brown rips ball from Dallas Cowboys quarterback Dak Prescott for strip-sack. 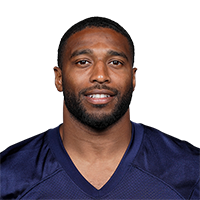 Published: Nov. 5, 2017 at 03:36 p.m.
Baltimore Ravens running back Javorius Allen is shut down on the 4th and 2 attempt by Titans linebacker Wesley Woodyard for the turnover. Published: Oct. 16, 2017 at 11:42 p.m.
Indianapolis Colts QB Jacoby Brissett falls short on fourth down.